Where: Transportation will be provided to and from the evening events. 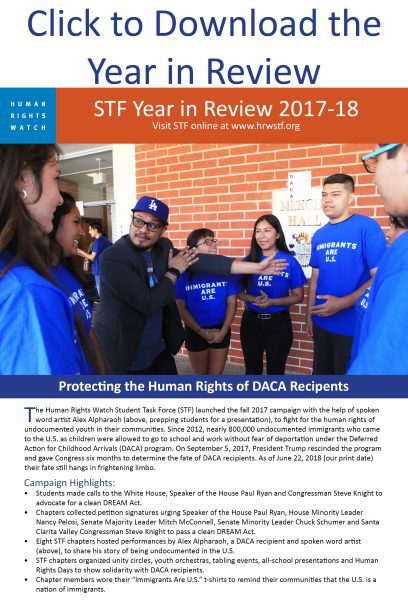 June 2, 2019 – HRW Film Club evening event at Universal Studios. June 3-5, 2019 – UCLA Luskin Conference Center during the day, and evening events at the Getty Villa in Malibu and at a prviate Holmby Hills home. Volunteer Requirements: Volunteers should be older than 18, highly motivated, extremely reliable and willing to carry out a range of practical tasks. They must be friendly, adaptable and able to work as part of a team and under pressure. Why Volunteer? 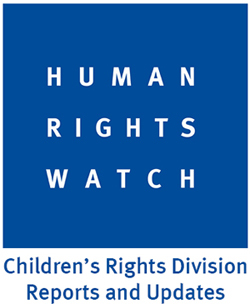 : You will have the opportunity to hear first-hand about the work of Human Rights Watch and other key actors in the international human rights field, and gain vital “behind the scenes” experience at a high-profile event run by a major international organization. How to Apply: Please send your availability for June 2-5 to Kristin Ghazarians (ghazark@hrw.org) by April 26. Please include “LA Council Summit 2019 Volunteer” as the subject of your email.